Bali Discovery Shopping Mall is one of the huge malls in Bali and the only mall which has a beachfront. 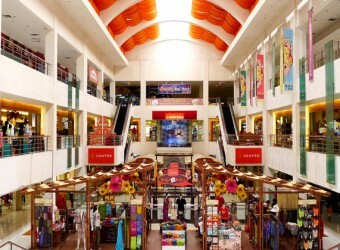 This huge and fully air-conditioned mall is located in Jalan Kartika Plaza. It consists of three storey with Sogo Department Store and the Centro Department Store featuring famous international brands. It has a large underground parking area and the beachside area features bars and café. A large shopping mall with full of tenants! I didn’t buy anything, I just bought bread at Rotio, a bread shop like Roti Boy. The bread was as good as Roti Boy.